Many of the glass condominium towers filling up the Toronto skyline will fail 15 to 25 years after they’re built, perhaps even earlier, and will need retrofits costing millions of dollars, say some industry experts. - Skyrocketing energy and maintenance costs. Glass condominiums — known in the industry as window walls — have floor-to-ceiling glass, so essentially the window becomes the wall. Window walls generally span from the top of the concrete slab right to the bottom. One developer calls glass-walled condos “throw-away buildings” because of their short lifespan relative to buildings with walls made of concrete or brick. “We believe that somewhere between, say, five and 15 [years], many, many of those units will fail,” said David House of Earth Development, which bills itself as a socially responsible property developer. House, who also has experience in the standard development industry, spoke to CBC as part of a special three-part series on the issue that starts Monday at 5 p.m. and 6 p.m. on CBC News Toronto. 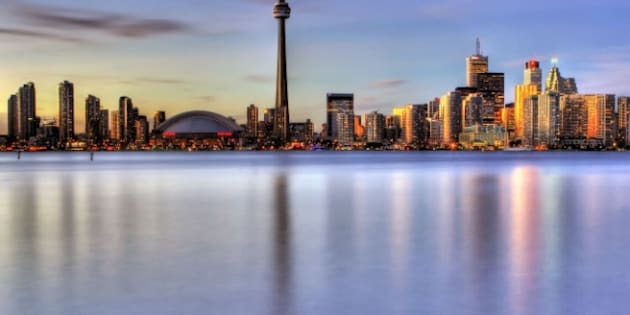 No other city in North America is building as many condo towers as Toronto, where they have reshaped the skyline, overshadowed once-prominent buildings such as the Rogers Centre and, in many areas, blocked Lake Ontario from view. About 130 new towers are now under construction. Glass walls have been popular among developers and consumers alike because they’re cheaper than more traditional materials and make a good first impression. But they aren’t energy-efficient and come with a hidden price that could soar down the road, engineers say. Floor-to-ceiling glass walls heat up and swell in the summer, freeze and contract in winter, and shift with the wind, engineers say. The insulating argon gas between the panes escapes, the seals are breached and the windows are rendered useless against the city’s weather. Eventually, the glass walls — the skin of these condo high rises — might have to be replaced entirely, with condo owners picking up their share of the multimillion-dollar costs. “Now is about when we should start seeing trouble with 1990s buildings, with the glass starting to get fogged up, the rubber gaskets and sealants starting to fail,” said John Straube, a building science engineer at the University of Waterloo. Complaints and lawsuits have already begun. Condo owners in a tower off Front Street are suing the developer, Concord, claiming the window-wall system in the nine-year-old building near the Rogers Centre has defects and water is seeping through. CBC called Concord to discuss the lawsuit, but there has been no response as of Monday. Toronto is also seeing the high cost of retrofitting a highrise. At First Canadian Place, a retrofit will take three years and $130 million to complete. Halsall Associates says the cost of re-skinning a residential tower could be $5 million to $10 million. "But that is the actual removal and replacement only – there is nothing in there related to additional security costs or relocation costs for residents," says structural engineer Sally Thompson. Straube said many condo owners have no idea about the expenses they’re in for and don’t ask the right questions. The glass walls that undermine a condo’s durability and energy efficiency are a key part of the attraction when potential buyers first step into those sunlit spaces overlooking the city. “To walk in and see trees, and just to see the city — it’s a wonderful thing,” said Kamela Hurlbut during a recent tour of a condo with her husband, Jason. For first-time buyers like the Hurlbuts, who eventually hope to own a detached house, a condo also seems the only affordable home-ownership option. Their estate agent, Linda Pinizzotto, emphasizes long-term costs as she tries to warn the couple away from glass walls. Glass-walled condos meet the requirements of the Toronto building code, although the code does not specify how long a building should last. Energy-efficiency is also a fuzzy area, since condos aren’t rated that way. "We don’t have energy-efficiency ratings on condominiums and that’s too bad, because we get them on dishwashers, refrigerators, and they only cost a few hundred dollars,” said Ted Kesik, a professor of building science at the John H. Daniels faculty of architecture, landscape and design at the University of Toronto. Janice Pynn, president of the Canadian Condo Institute, isn’t sure energy efficiency is a big factor for condo buyers initially — even for buyers who care about not wasting energy. “People talk that they want it, but when it comes down to what it's going to cost them, it doesn't even come into the equation,” says Pynn, whose Simerra Property Management company manages 250 condos across the GTA.